Hi, I am an owner of the 450D. I am interested in the idea of using this camera as a 4K video camera. I saw your discussion and have been trying to get this working for quite some time now. Can anyone do a step by step basic tutorial for me to try and get somewhere? I am interested in the idea of using this camera as a 4K video camera. EDIT: Finally I could run ML on my 450D. I tought I could use video recorder function but it does not allow me. Is there any other version which I can record video with? Hi im new to ML, i use to use CHDK on other two Canon cameras and now i want to use my 450D with ML. I encounter same problems. The screen goes off and the blue led lights up with working autofocus. 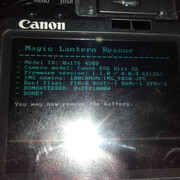 ML in my camera 450d dosnt work. Eoscard 1.40 cant help either. 3. During update blue led is blinking and nothing happend. It works the same as 40D/5DC installer. ML still does not work. After the installation, I deleted the file from the card. I've put ML on the card. When the camera is turned on, the red LED lights up red and nothing happens. After turning off the boot, the camera starts normally, the trash button does not give anything. I do not know what to do. I think I'm making a mistake somewhere. Probably ML can't find some files in ML folder on SD card. 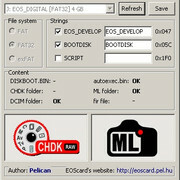 Try to format SD card in the camera and reinstall ML. Welcome back. I successfully installed ML on another card.It works on an old 4 GB card.On 32 GB cards, the ML does not load. I tried it on two other cards. I do astrophotography and I need to brighten the view on the display so that I can set the focus on the stars. New versions of ML have this function available. Would you be able to program it into the 450D version? It would help me considerably. If you can do it, I would be willing to pay for that, just name your price. On 32 GB cards, the ML does not load. I tried it on two other cards. I do astrophotography and I need to brighten the view on the display so that I can set the focus on the stars. New versions of ML have this function available. Would you be able to program it into the 450D version? It would help me considerably. If you can do it, I would be willing to pay for that, just name your price. Which function do you need? Can you explain exactly? Probably the name is:Increase display gain. "Can I use LiveView in complete darkness? Yes. Increase display gain, use a low FPS (with FPS override), or both. With a bit of tweaking, you can make the LiveView bright enough to manually focus on stars, for example. Also check out the dark color schemes optimized for night shooting, or try disabling exposure simulation." I've compiled ML with FEATURE_LV_DISPLAY_GAIN. But it doesn't work out of the box. It seems that Digic 3 has no ISO_PUSH_REGISTER (0xc0f0e0f8). Some registers are present (0xc0f08030, 0xc0f08034) but their modification has a very short effect. Probably camera refresh their values periodically. *pnum = (uint32_t)(0x63643030); // "00dc"
Is there better way to get LV JPEG data than intercepting debug messages? The JPEG buffer is is populated *and* freed in lvcdevResourceGet, so... that's pretty much the only place for a hook, if you want to reuse Canon's approach. You could place a hook (patchmgr: patch_hook_function) directly into 0xFFAD5870, but that won't solve much (the hook code will only execute when needed, so it will be a bit cleaner). You should also speed up the copying process with either dma_memcpy (HPCopy) or edmac_memcpy; that should get rid of dropped frames. On newer models (DIGIC 5, IIRC also 60D and newer DIGIC 4), this function no longer runs automagically while in LiveView, so this approach is only valid for older models. There is another drawback of this JPEG stream: it's not using the full LiveView resolution. 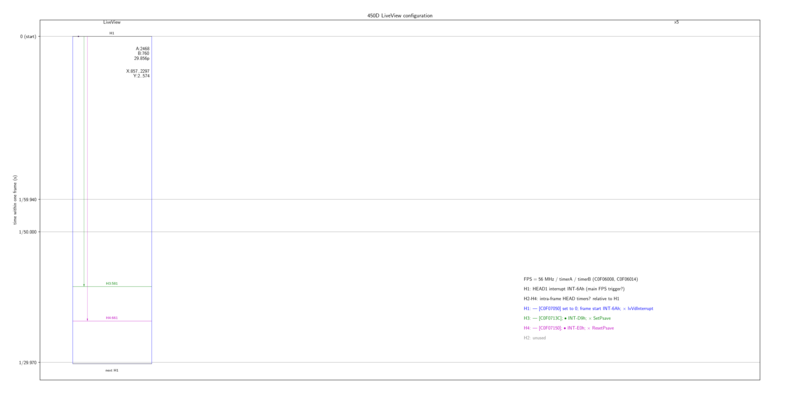 On 450D, CR2 resolution is 4312x2876 (with dcraw), so I'd expect something close to 1436x958 in LiveView. On 5D2, CR2 resolution is 5634x3753, LiveView resolution is 1880x1248, LV-JPEG resolution is 1024x680. I'm pretty sure the hardware can deliver MJPEG at full LiveView resolution; "just" need to figure out how to how to request a full-size YUV buffer (most Canons do this while recording H.264) and how to call the JPEG encoder on an arbitrarily-sized YUV buffer (likely very similar to the lossless encoder). BTW - disabling this JPEG stream on old models could be useful for reducing power consumption. Nothing measured; just theory. Current LV-JPEG resolution 848x568 used by EOS utility, EOS SDK and eos_movrec. The framerate is around 20-22. Do you think it's limited by USB throughput? The main limiting factors are sensor readout speed, JPEG encoder speed and SD write speed. - photo mode: timer A = 0x13EB, B = 0xB39 (from an older log from you), 91 microseconds / line (from 0xFFBDF2E8 VSizeSetting), so main FPS clock must be... 56 MHz x 1 channel. Yes, it's not much slower than 500D (32 MHz x 2 channels). Full-res capture at 3.82 FPS. Raw readout resolution: 1440x572. From this, you will have to trim some black borders. Unfortunately, this 572 smells like 5x3 binning (572*5/3=953). Guess: (AD)TG register [100C] might control this (set to 2 for 3x3 binning; default 4). FFBE168C tg_write. 24p: expecting about 1440x760 (including borders). Maybe 1440x820, if timer A can be reduced to 2298. Maybe even more if HEAD timers are also adjusted (decreased); just a guess. JPEG encoder speed: measure the execution time of FFBF9F44 / FFBF9DF8 (whichever is used). Place a hook before and after the call, and write down the microsecond timer delta. SD card speed: trivial to benchmark. Expecting about 20 MB/s. Continuous recording at about 800K per JPG frame. How to avoid the flashing(flickering) of ML menu and OSD in LiveView mode? It also changes the colors of Canon's OSD elements. Was the lv_rec module replaced by mlv_rec? I'm trying to choose the reference for MJPEG recorder. That's the only valid value I could find in QEMU for LiveView. Colors: I'd expect Canon code to restore their own palette, but needs to be double-checked (whether it works in LiveView etc). As reference code, I'd start from mlv_lite and delete a bunch of stuff specific to raw recording. You will want to look at crop_rec_4k, as that's the only version working with variable frame sizes, but it will require heavy tweaking on the memory management side. It's a bit more complicated than it needs to be, but... the alternative would be to reinvent the wheel (buffering, speed optimizations and so on). You will want to look at crop_rec_4k, as that's the only version working with variable frame sizes, but it will require heavy tweaking on the memory management side. It's a bit more complicated than it needs to be, but... the alternative would be to reinvent the wheel (buffering, speed optimizations and so on). 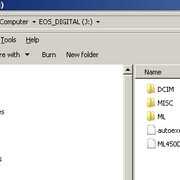 Unfortunately vxworks branch is too old and has no mlv_lite and crop_rec_4k modules. SetGUIRequestMode(28) from "Don't click me" (call it after a short delay) -> I expect this to bring some transparent dialog in LiveView. If GUIMODE_ML_MENU is actually used, it should display the same dialog "behind" ML menu, i.e. a split-second before opening it. CURRENT_GUI_MODE should be 2C94, btw. Who knows what else is wrong, as I can barely start it in QEMU. Already found it by myself. But it doesn't help. Nice , thanks for starting up Mjpeg , being wanting to get in this for the last 6 months at least on d4 cams. Great info This is the kick starter I've being looking for .